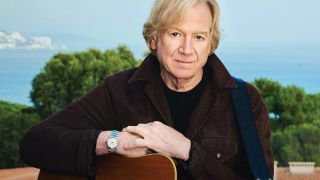 Moody Blues man Justin Hayward has revealed details of his upcoming All The Way UK tour. He’ll play a total of eight intimate dates throughout September, where he’ll perform tracks from his solo career, along with a selection of Moody Blues favourites. Mike Dawes will open for Hayward at all shows. Hayward says: “I'm always so thrilled to have the opportunity to tour in the UK, particularly at this time in in my career when no one knows what the future holds. “I’m bringing my ‘songwriting' guitars from home on the road with me, so the gigs will have the feel and sound of my music room along with the vibe I was feeling as I wrote the songs. Hayward adds: “It's a joy to share a stage with such wonderful young and inspiring talents as Mike Dawes – one of a new generation of brilliant young guitar masters who is worth the price of admission alone – and Julie Ragins, a truly exceptional musician and singer. Tickets for the tour will go on sale this Friday (February 8) from 9am.